Lovely readers, here’s one thing you should know about me aside from the fact that I love books, photography, and design: I also love to travel! At the age of eighteen, I’ve seen a lot of the world through family trips, but also through books! I realize now that, I’ve yet to share this wanderer side of me with you and I want to change that. 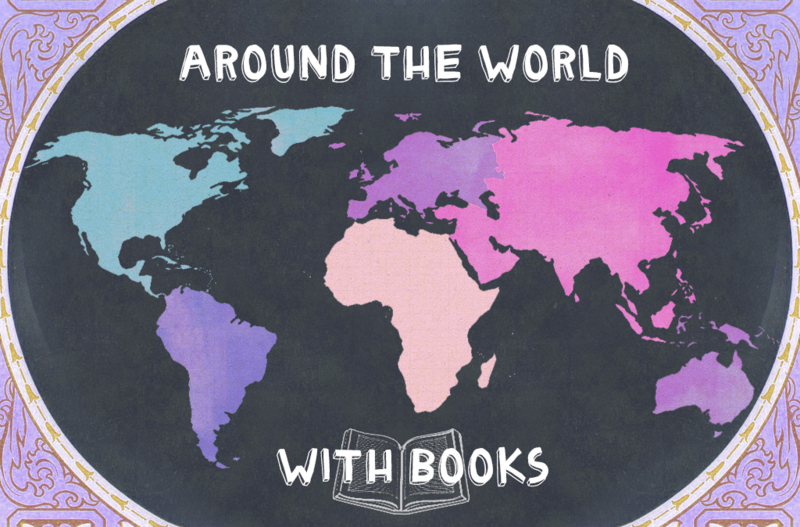 Around The World With Books is an all-new blog series inspired by my dreams of trotting the globe. Books are not only one of the strongest reasons why my wanderlust grows each day, but they are also my companions when I do travel. Wherever I go, I go with books. With this feature, I’ll share about my travel adventures in real life or through fiction! I know Japan is not exactly that far from the Philippines, but I’ve actually never had the chance to visit yet! I totally want to! I’d love to get to see my aunt and my kid cousin who lives there! 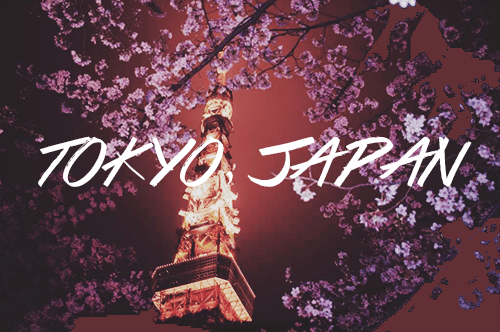 Things I’ll do there: Eat lots of Japanese food, visit Hello Kitty world / Sanrio Puroland (I’m serious), Tokyo Disneyland and some shrines, see the Tokyo Tower, shop at Shibuya, look at pretty Sakura trees, buy some anime and manga, buy all things kawaiiiiii! 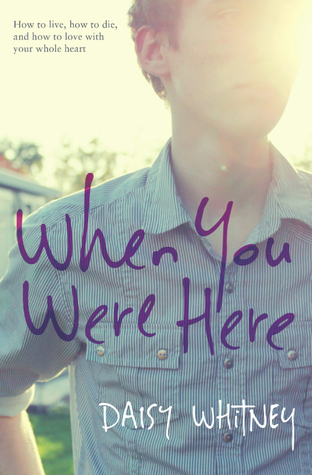 Book to read: I’ve been wanting to read When You Were Here by Daisy Whitney for the longest time! I’ve read some great reviews and I love that it’s a contemporary book set in Tokyo! I’m sure reading it while in Tokyo would not only make for a great reading experience but also travel experience too! Hopefully, if I get to go to Korea, I can bring my best friend with me! She totally adores Korean culture and the people too! 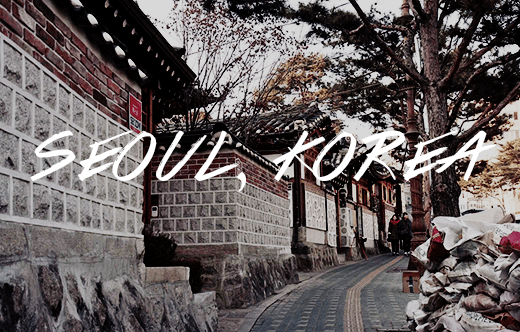 I love KDrama and am a mild KPop music lover so I definitely want to visit the place they rooted from! Things I’ll do there: Go clothes shopping (I love Korean style clothing! ), eat Kimchi, drink soju, hunt down Korean celebrity crushes (Lee Minho, Kim Bum, Tiffany of SNSD, etc. ), try on a Hanbok, visit the Seoul Tower and check out the teddy bear museum! Book to read: Since I don’t really know any books that are set in Korea, I’ll just want to read something fun and romantic. 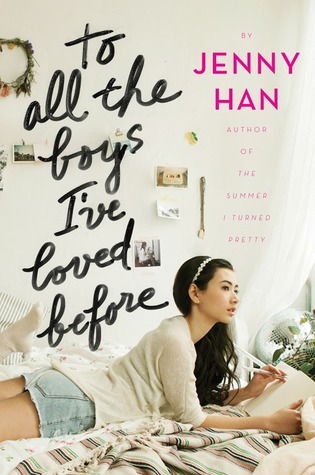 Or maybe I could bring To All The Boys I’ve Loved Before by Jenny Han for kicks since the main character and the author of the book are Korean! Oh Rome, how I long to be in you. The Roman period was my favourite topic in World History! Plus, I find everything about Rome fascinating- the places, the people and the story behind all of them. Things I’ll do there: Go to the Colosseum and Pantheon, have gelato for breakfast, lunch, and dinner, learn to cook authentic Italian pizza and pasta, toss a coin into the Trevi Fountain, check out the Vatican, tour around the city riding a Vespa! 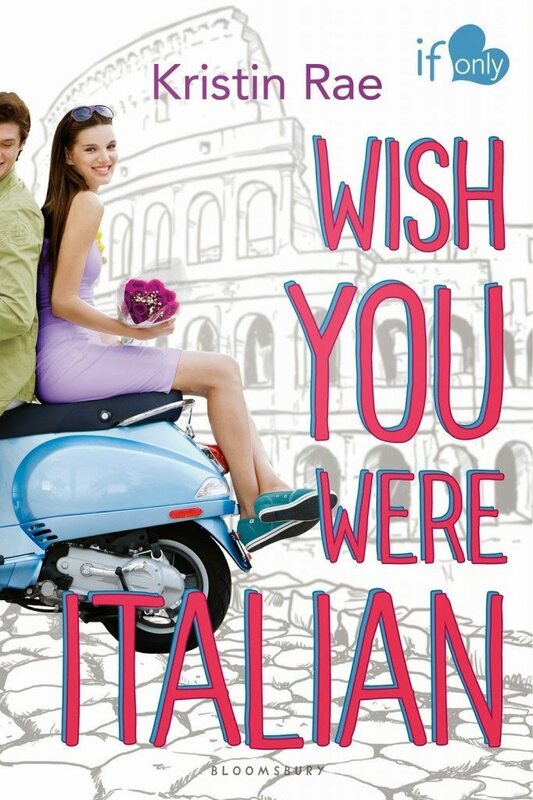 Book to read: As soon as I finished reading Wish You Were Italian by Kristin Rae, I pretty much wanted to book a ticket to Rome. Alas, the chance of that ever happening is zero. (At least the impulsively buying a ticket part!) But I totally dream of going to Rome and doing whatever it is Romans do! *singing Empire State of Mind- in New YOOOORK* Some of the bloggers and authors I follow live in New York and I’m pretty jealous! I would looove to visit the big Apple and walk its busy streets! 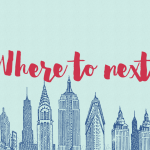 Things I’ll do there: Go book shopping (B&N, Strand, Greenlight, 192), visit the Met, selfie with Statue of Liberty, watch a Broadway show, hang at Central Park, check out the Grand Central Terminal and Empire State building! 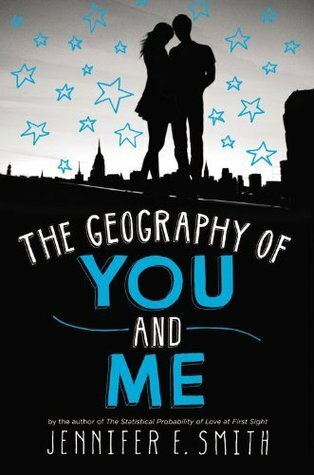 Book to read: I read The Geography of You and Me awhile back and totally loved it! While Geography has multiple settings, the story starts and ends in New York and I loved reading about it then- the business of the city, the motion, but also its beauty and appeal! AHHHH MY ULTIMATE DREAM DESTINATION!!! I’ve long since been pining over seeing Greece because it is freaking beautiful over there. I think my longing to visit this country started because of my love for Greek Mythology. I just wanted to know more about Greek history, architecture and culture! They have so much of that over there- plus they have awesome beaches! That’s everything I could want and more! Things I’ll do there: Island-hopping, beach-loving, and sailing in Santorini, admire The Parthenon, walk around the Delphi Theatre, look at Greek statues, visit museums, be stunned by the beauty! 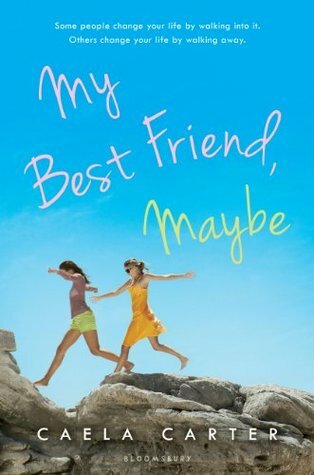 Book to read: I haven’t read My Bestfriend, Maybe by Caela Carter yet, but like When You Were Here, I’ve read several lovely reviews about it, so I’m excited! Of course, I love that it’s set in Greek islands and looks all summer-y! What do you think of Around The World With Books? Do you like travelling too? What are your top 5 destinations? Have you read any of the books I mentioned? 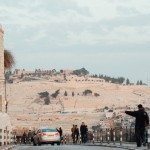 Have you gone to any of these places before? Share about it in the comments! I have a “Around the World” map on my blog. It’s a google map where I mark all the books I read! Cute post idea! Most of those books have been in my TBR list. Such a cute post, I love it!! Hmmm top 5 destinations I’ve been to…I’d have to say (not in any specific order): Belize, Ireland, London, New York City, and Hawaii! 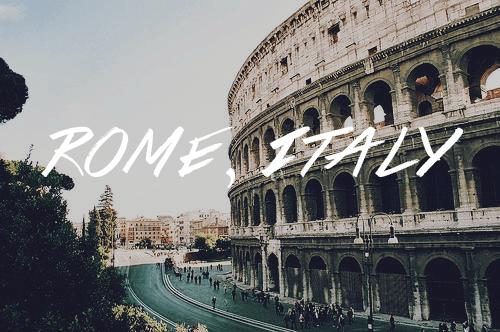 I’d really like to go to Rome and Greece someday, too. Hazel. How could you skip Anna and the French Kiss + Paris?? DISHONOR ON YOU, DISHONOR ON YOUR FAMILY, AND DISHONOR ON YOUR COW. Sad to hear you didn’t enjoy My Best Friend, Maybe but yes, Sisterhood Of The Traveling Pants!! I’ve only watched the movie so I’ll def have to read the book sometime. Brilliant new feature, I love the idea of reading a book and then visiting the location :) My number one place to visit is probably France … it just sounds like a dream to be there. Ah, Hazel, such wanderlust I have! I reeeeeeally want to visit Rome and Greece! After reading Anna and the French Kiss, I’ve been yearning to visit Paris, or just France in general, as well too! 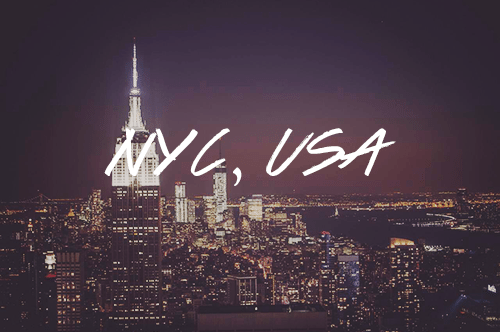 Sadly, I haven’t visited outside of the U.S. (ugh) but I have seen NYC! It’s so amazing! The hustle and bustle and huge buildings are fantastic (it is definitely a concrete jungle ha ha!) I went to go see a Broadway play, and it was just an awesome experience. I saw Times Square, got to take a nap in Central Park, and got to ride the metro! 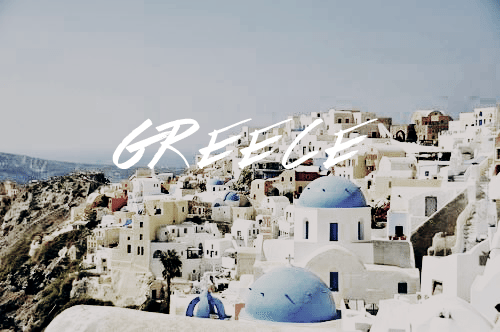 Wow, Greece is also my major dream destination. I hope you can go there soon so I can at least pretend I’ve been there. LOL. Voting done! Good luck sweetie. YESSSSSS. I’d love to go to ALL of these places sometime! I’ve been to NYC tons before since I live close by so I don’t really have as much as an NYC allure as some other people but I always find something new every time I go. When You Were Here has been on my radar, too and I’ve heard lovely things about it as well but I still haven’t gotten around it yet. YES! I’ve been around the US for quite sometime now and I didn’t need a visa. LOL (Just by reading.) Crazy stuff I learned about different countries because of these books. Maybe that’s one of the reasons why we read. Books make us travel a lot minus the cost. This is such a good idea! I love to travel, but sadly don’t have the possibility to actually go anywhere. And so books are kind of my alternative ^.^. I’ve always wanted to visit asia! It just seems like a whole new culture and i imaginebit ti be just… you know, beautiful :).